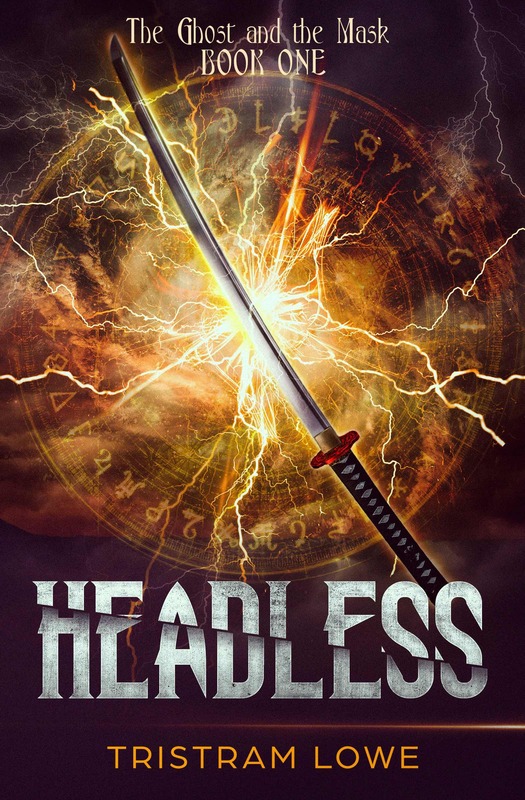 I’ve had the current cover of Headless for a year and a half now, and I’ve gotten some good feedback on it. To be clear, I really like the original, but some have said it looks too scary and it’s not a book they would pick up. And I’ve realized that the cover doesn’t really give you a peek at what might be going on inside, and in fact, may mislead you into thinking it’s something that it’s not. Because, although there are some scenes you might find scary, overall it’s not that frightening. It’s a fun adventure that puts the characters in some dangerous and scary situations, but it’s not horror. And while that awesome samurai mask is a very important part of the tale, it is not everything. So I’m going to try a new one that hopefully captures the story a little better. First, it’ll be just for the ebook. Then I’ll think about changing the paperback too. I’ve had THREE covers made! I would love your opinion to help me decide. Please let me know which one grabs your attention the most by using the poll below. Which one would you pick up off the shelf first? Click on the small images above to see a larger version or click here to see them side by side. They are numbered left to right: 1, 2, 3. You can also mouse-over the image to confirm the number. Any comments are very welcome at the end of this post. If you like the font on one but the illustration on another, let me know! Any ideas for something that might work better, let me know! I’ll be very grateful if you share this post so I can get as much feedback as possible. If you’d like to compare to the original cover, here that is. I feel #1 skews younger … early teen fiction (12-14yrs). It immediately feels like part of a series… I think because the characters are so well visually developed… it looks really professional. I like the “sliced” treatment of the title on #3 … I’d like to see this implemented on #1, but in the appropriate typeface/style. The title area of #1 is problematic IMO… it doesn’t read well/pop and I can’t understand the purpose of the light text in the background. Overall, I think #3 is a close follower to #1. It’s really good, but it communicates less about the characters and series books are pulled forward by character. I think you may find #1 appeals to teen girls whereas #3 will appeal more to teen boys. Great work… I really like the artwork and the opportunity to share my opinions with one of my favorite authors. Cheers! Thank you for the thoughtful comments! I also really like the sliced title of #3. I may have to incorporate that into whichever one I go with. The text behind the title on #1 was meant to be newsprint since the protagonists work for a newspaper, but that is evidently not clear. Something to rework for sure. Thanks again! This really helps! First off, you can tell each of the artists are very talented! My main thoughts have to do with how you plan on marketing the series going forward. 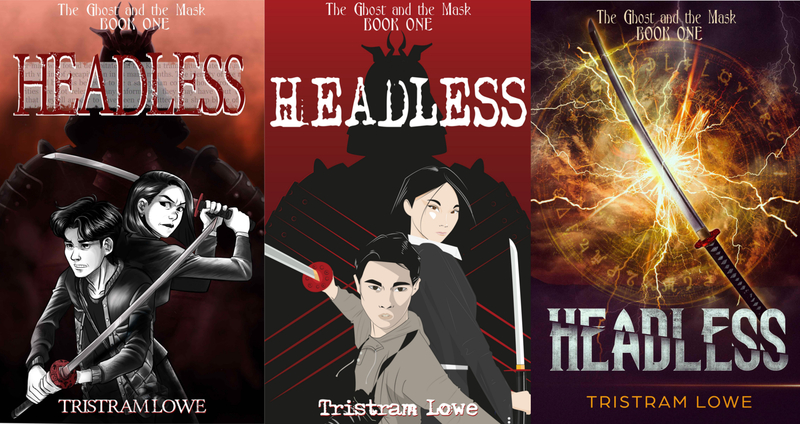 The first two covers feel quite YA to me, while the third (which is my favorite) might appeal to a broader audience (especially those who read fantasy/action novels). Thank you, Shaina! Going forward is definitely something important to consider. I hadn’t originally planned on writing for YA, but have found somewhat of an audience there. 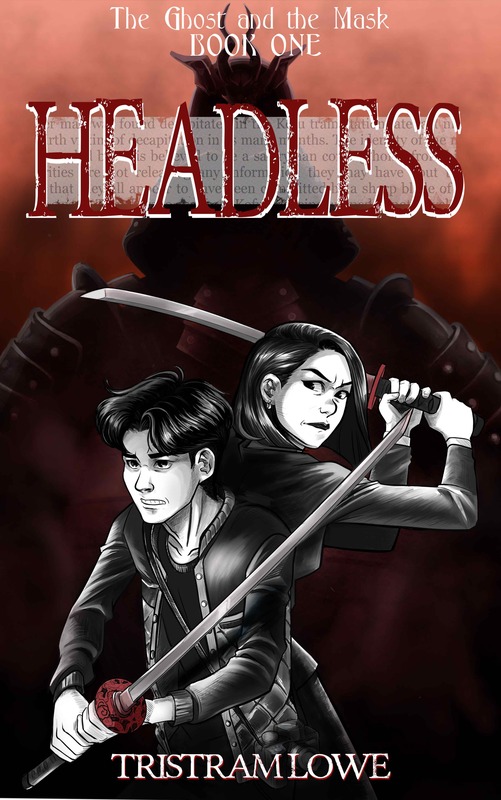 I did think a manga-style cover would be appealing and appropriate since the story takes place in Japan and is fantasy/action/adventure although in a modern setting, and the protagonists are young (early to mid-twenties). But a broader audience would be nice too, and I don’t think unreasonable. Stuff for me to think about. Thanks again! And yes…very talented artists! I agree. Seems I’m in the minority but I like #2 best with the fonts from #3. I prefer the stylized manga-esque art in #3 to the #2 b/w sketch style. In #2 the characters are dark and recede into the background a bit. Also #2’s character art is so specific it leaves no room for imagination, and it’s not quite how I pictured them (she looks pretty angry). #3 by itself is exciting in a kind of Game of Thrones way but it’s more generic — another story involving a special sword — and doesn’t show the characters at all, it’s just a picture of a weapon. Might skew too much to male readers. That said, 3 good options and no ‘wrong’ answer here! Thanks! I think you may have gotten some numbers crossed? Or maybe the pics got mixed up somehow… But I totally get what you’re saying. I actually expected more votes for #2 (red background with manga characters) than I’m getting. Great point about the last one being kind of generic, but I’m also learning that people seem to like familiar images best. The fact that it looks like 100 other book covers might actually be a good thing. Not my sensibilities, but possibly the best idea in terms of marketing. It seems the runaway winner at this point. I hope to get some more votes in this week though. I like #2 with the fonts from #3, prefer the art in #2 over the #1 b/w sketch, in #1 the characters are dark and specific, and #3 doesn’t show the characters. But it does look like #3 is the winner! I like the artwork on #3; it’s very striking and does get your attention. But I think #2 best represents the actual story. I would probably use the artwork from #2 along with the font from #3. Thanks, Carol! That’s the second vote for that combo. I can see that working well. Torn… Since I haven’t read book… But 3 if it’s for adults, 2 if it’s for YA. I would not personally grab 1 or 2. But I would look at it twice if it was 3. Great! That is good to know, and something I will consider. I hadn’t intended to write YA, but I’m finding it resonates with that crowd. Thank you! #1 says graphic novel. #2 says Disney. #3 says modern action/suspense. Honestly, I like your former cover better than all three, but I would understand if it didn’t fit your story/genre. Thanks, Marc! I love the first cover. Some people find it too scary, but the book itself is lighter than a traditional horror novel. I’ve had some say it doesn’t fit with other covers in the genre. I thought maybe fun characters would be more appealing, but #3 is definitely winning. Who knows? Maybe after all of this, I’ll just leave it alone. But at least I’m learning something! Thanks again. I initially was drawn to #1, but I feel that may be because I had seen it before so it was immediately familiar. After further inspection, (which is definitely what I would do in a book store – I am slow and deliberate with my book choices) I think I prefer #2. 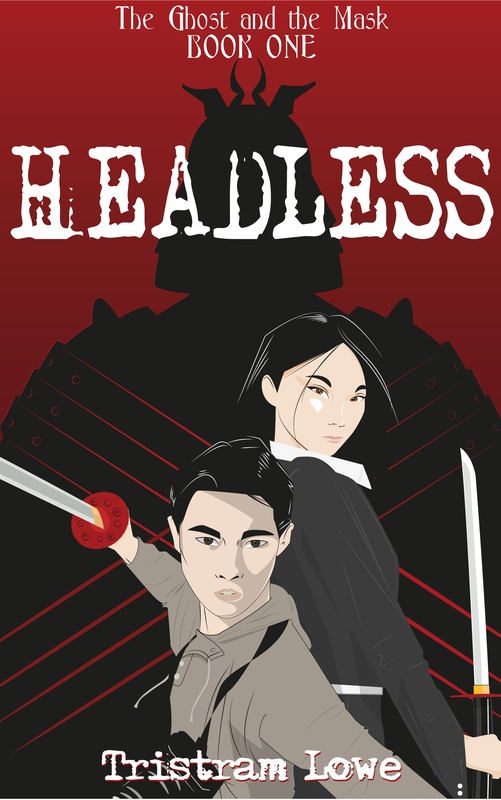 Cover #3 made me think “Game of Thrones” which could be a marketing advantage for you, but since I have neither read Game of Thrones nor Headless, I couldn’t say whether that association is desirable or not (other than the fact that Game of Thrones books are huge bestsellers – there’s that. Lol). I read through the other comments on this post and noted the thoughts regarding YA. I buy a lot of books for young adults/teens so I may have a slightly skewed sense in regards to something that might appeal more to adults. I do think #1 feels like something that might only appeal to YA whereas #2 might have a more broad appeal. #3 has a definite mass marketing appeal which may be the way to go. I tend to stay away from the mass marketed books so I might be an anomaly in that regard. That was a lot of confusing input, but basically I think #2 or #3.